Ten years ago our world changed. Something unexpected happened. Steve Jobs introduced a device no one knew they needed, but everyone wanted. 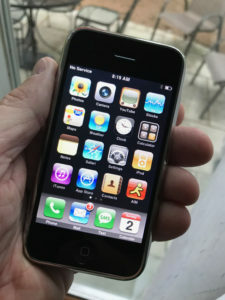 One June 29, 2007, Steve launched the iPhone. I remember watching the presentation online and how I knew I needed that new phone. My friends shared the thought. I also went out and bought a lot more Apple stock as I had a gut feeling this new device would change everything. If you haven’t watched this video before it is a masterpiece on how to do a presentation. If you have seen it before, then it another look will only help you realize what a piece of history it is. I still have my original iPhone. It still works, and when compared in size to what I own today it’s a marvel considering its size. Today, wherever you look someone, has an iPhone out. People walk down the street texting or talking, making reservations, looking things up on the web or listening to music or podcasts. The iPhone can do just about anything. We have become a society dependent on this device. Proudly showing off my original iPhone. It still works. 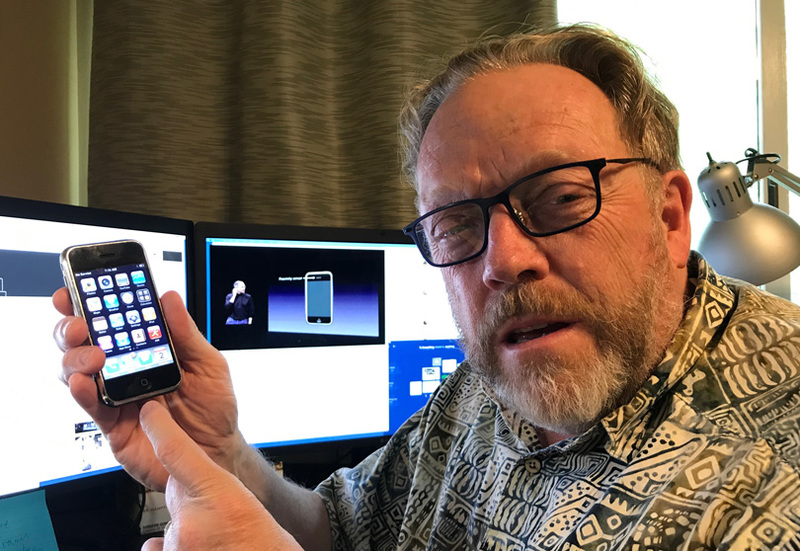 My friend Bill Atkinson, one of the most brilliant and fascinating people I know was so excited about the iPhone that he took the specs and made mockups of it right down to the weight. He then pasted graphics on it and shared it with a lot of us. Michael Reichmann, Chris Sanderson, Bill Atkinson and some others, as well as me, went on a photoshoot to the Palouse in late June of 2007. Bill had his mock ups with him and couldn’t stop talking about it. He convinced all of us to buy one. I was going to be doing a workshop in Iceland on the day the iPhone was to be released in stores. I wouldn’t be able to get my hands on it the first day. Bill volunteered to stand in line and buy one for me along with his. He wanted to do that to be part of the experience of watching this amazing device be born. On my return from Iceland, my iPhone was in my mailbox. Thanks, Bill, I’ll never forget you doing that. There were many naysayers about the iPhone. Many of these naysayers are probably eating their words today especially Steve Balmer, CEO of Microsoft at the time the iPhone was released. Here’s what Steve Balmer had to say . . . So, I ask where are Microsoft’s phone sales today? This video shows why no matter who you are and what you do that you can never loose the ability to be optimistic and open to new ideas. This guy had no ability to see the future. As it turns out the iPhone was more successful beyond anyone’s expectations. Apple and its stockholders have profited wildly from it (me included). Yes, I suppose I’m an Apple fanboy (and stockholder). 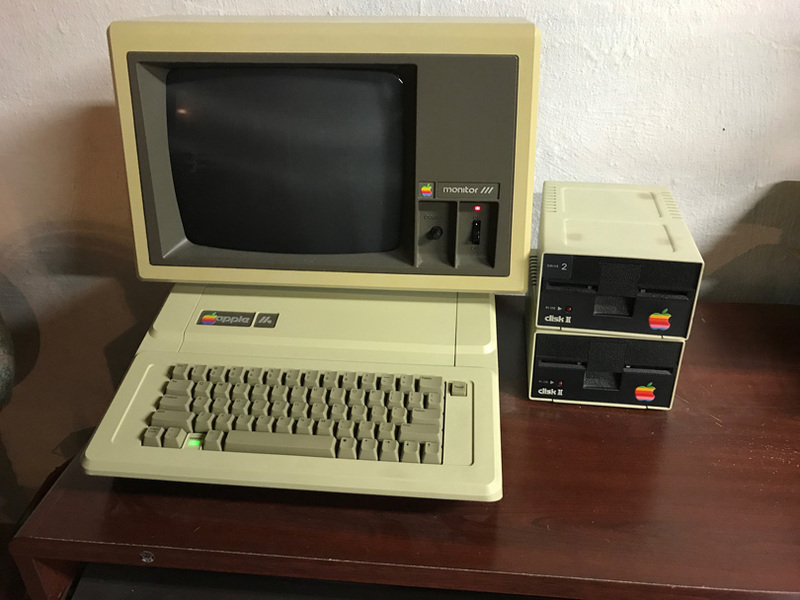 I have a lot of Apple products all the way back to the Apple IIe. My basement is like a mini-museum. For me, the Apple ecosystem works. The way the iPhone, my iPads, iMac, and MacBook all integrate is fantastic. It just works. Apple without Steve has drifted of late. I hope they get back on the path and remember what Apple is all about. The video below is one that still makes me misty eyed. It is where Steve Jobs after returning to Apple defines what Apple is about. Now and then I watch it again and remind myself that is the way we all should think. I have also included the Think Different TV Ad. This is the meeting where Steve changed the direction of Apple on his return. It’s Steve Jobs at his best. Maybe it’s just me, but this TV ad grabs me everytime I see it. As photographers, we need to keep what is said here in mind. 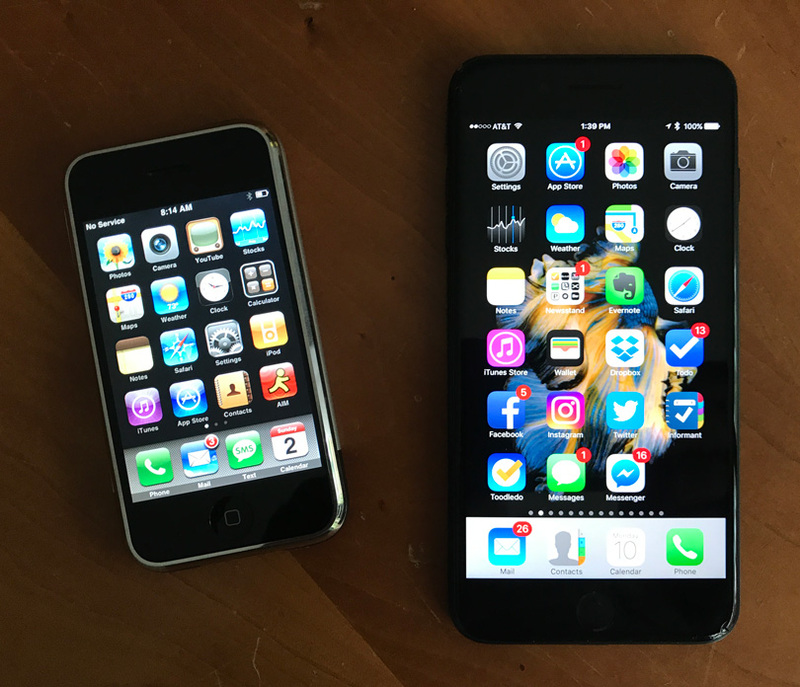 The original iPhone compared to my iPhone 7 Plus. I guess bigger is better. I have become kind of an iPhone nut case. I have upgraded to a new iPhone every time one is announced. I have every model that has been released, and as shown above I still have my very first iPhone. Think about it, how much has the iPhone not only become part of our lives but also a disrupter in it? I use my iPhone all day long. It touches just about everything I do and especially my photography. It distracts me to no end. And, while making me more productive in many ways, it also interrupts me to a point where sometimes I am less productive. I know many people are as guilty of this as much as I am. Photography wise I have 65,000 plus photos on my iPhone. If you think about it that is an incredible number. 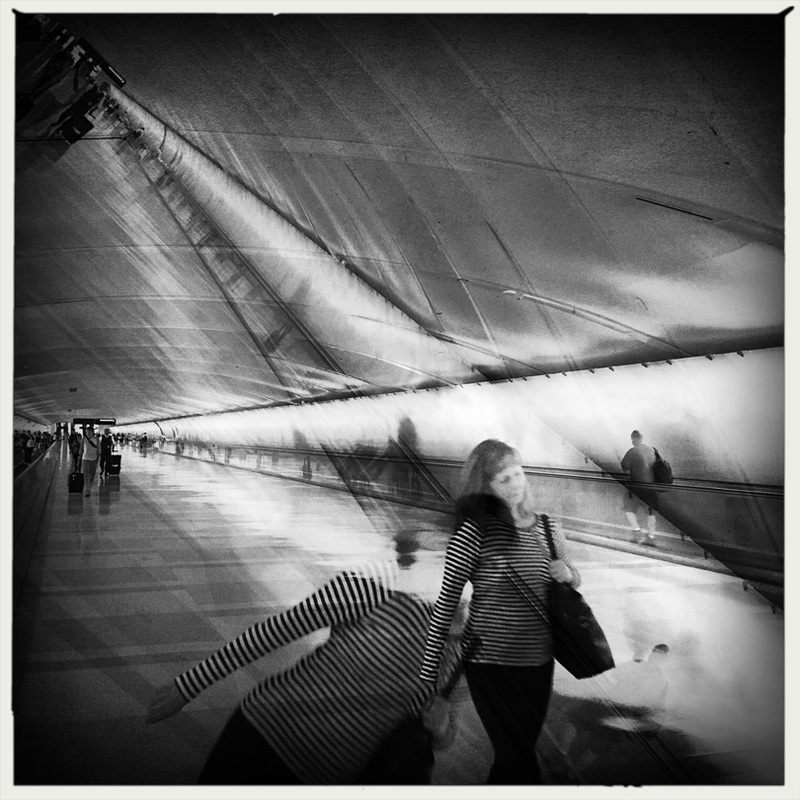 I have images made with my iPhone itself, images made with other cameras and added to the iPhone through iPhoto or other apps. I have nearly a hundred different albums. There are numerous portfolios of my work too. The iPhone for me as a photographer has become indispensable. I measured a stack of 100 4×6 photos and calculated how large that pile of images would be if there were 65,000 of them. 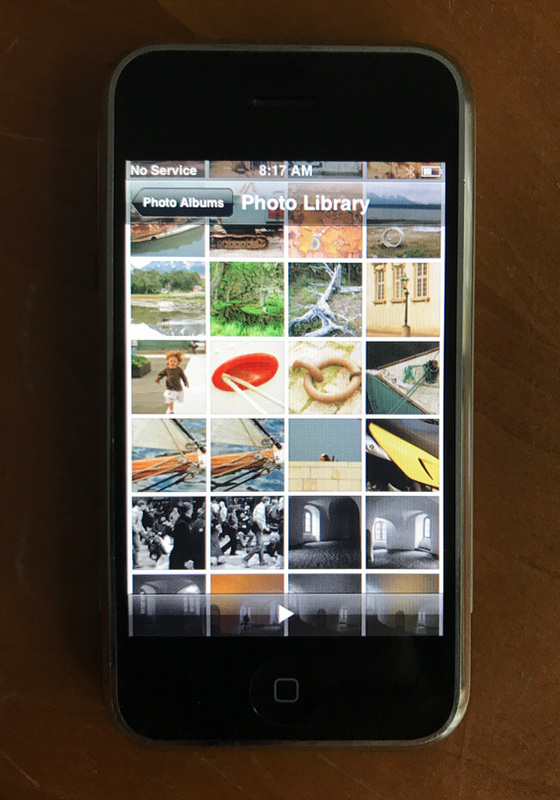 All the pictures I carry on my iPhone would be a stack of images over 54 feet tall. That’s pretty incredible when you think about it. I also have dozens of TV shows, a library of books and magazines and thousands of songs. a have apps that can tell me where I left my car or show me where exactly on this planet I am. I use GPS apps to track my travels and show me where I have been during a period of time. The app then sends the data to another app that maps out the route I have traveled. I can book movies tickets, airline tickets, call for a cab by pushing a button and find a vacation house. This is a short list of things that because they are available so quickly today have changed our world. I wonder if Steve Jobs envisioned all the things the iPhone is cpable of. 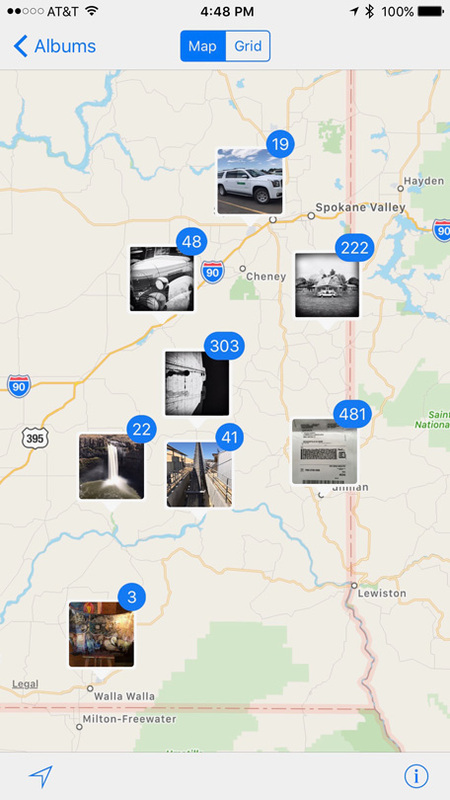 Locate images on a map based on where they were taken. Zoom in and they spread out even more. Very cool! Finding specific images you would imagine could be quite daunting but not so. 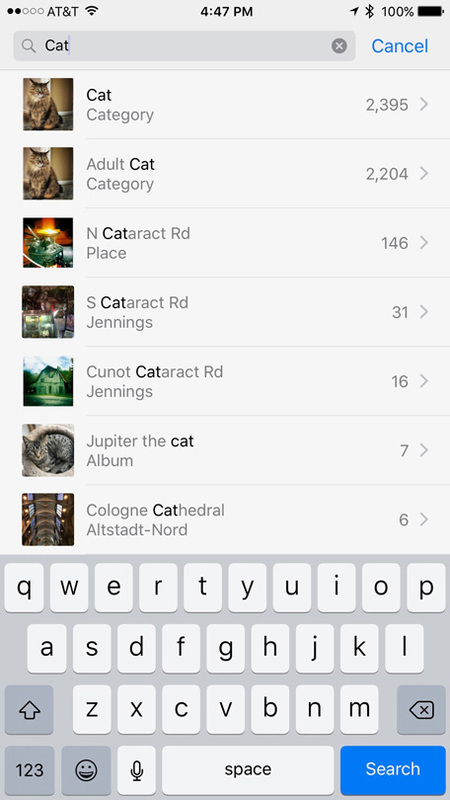 You can search by names of things like a “cat” or “jeep.” You can also find by dates and location. You can find people by faces too. Simply brilliant. Sometime when you aren’t doing anything type some words into the search field, and you’ll be surprised at how good the search is. I typed the word “bar” in, and it found a few hundred photos of shots made in a bar. Not hat I spend a lot of time in a bar or anything. Search the word “Cat” and the iPhone finds all images with Cat. How does it do that? He encouraged me to try using the iPhone whenever I shot my images on my regular cameras. I adopted the Hipstamatic app and set up a style which was a combination of lens and simulated film sets and started shooting everything with it. 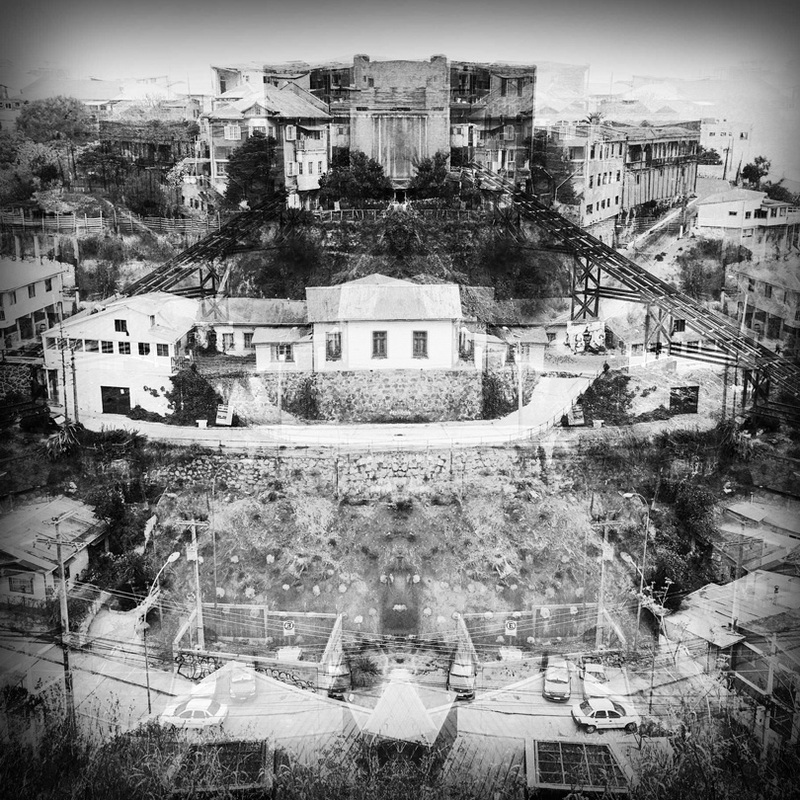 If you have the app or get it I use the Salvador Lens, AO BW Film combination to get most of my effects. I set the app up to shoot square images. The app also does a fascinating double exposure from the shot image. Depending on how the camera is tilted and turned determines the type of double exposure that would result. I enjoyed the look so much that I got very motivated and started a project. 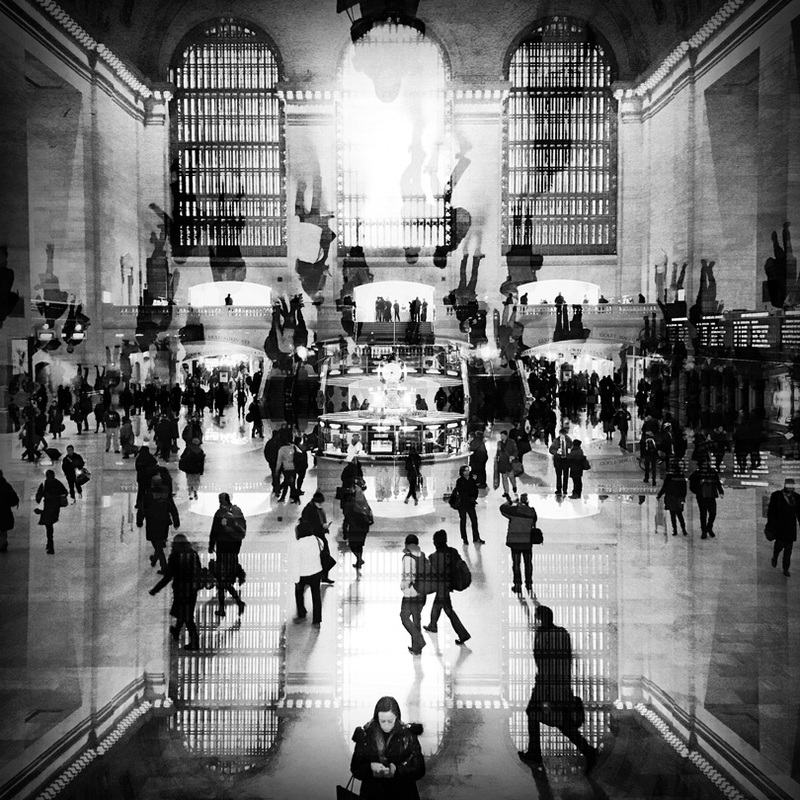 I was encouraged by Brooks Jensen of LensWork Magazine in a podcast he did about doing projects with photos. 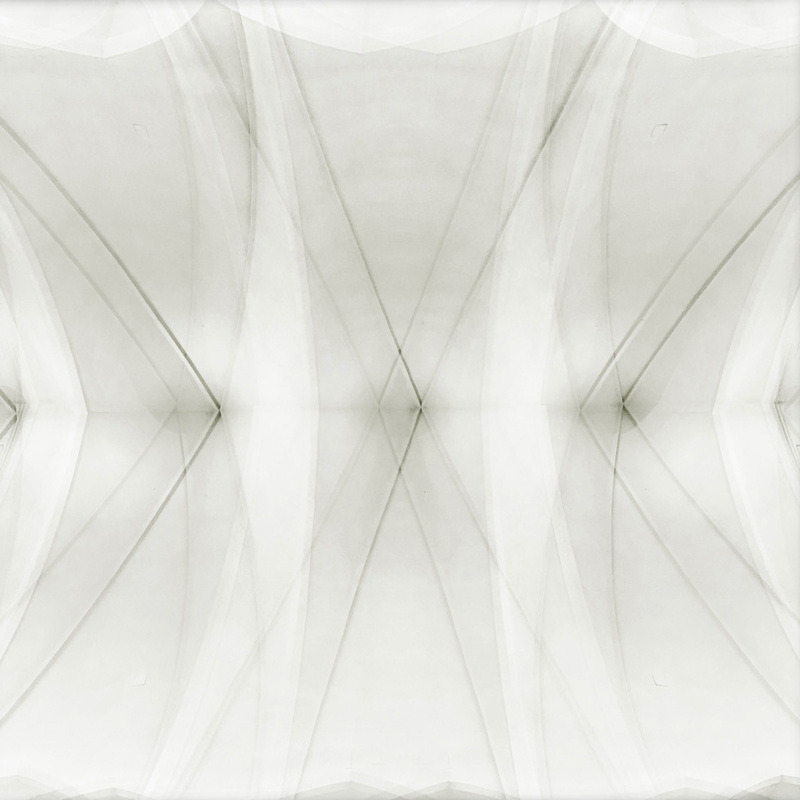 Thus I set out to shoot a theme called “Being Square – Seeing Double.” It was my project, challenging me on a daily basis to see and shoot differently. After two plus years and thousands of images, I finally believed I had enough images to put a show together. I displayed this project at the end of April in my gallery and offices at the annual open house. It was a great success. We sold some images, and I had something g different and fresh. And, not one person out of thousands that visited over the two-day event asked what I shot the photos with. I plan to start one of two books with these images and publishing it on my own. I’ll make an announcement on this site when it is available. I use Bill’s PhotoCard app to send cards to family and friends while I travel. either by email or regular snail mail. Great quality and fun to get in the mailbox. I also love a program made by Bill Atkinson called PhotoCard. 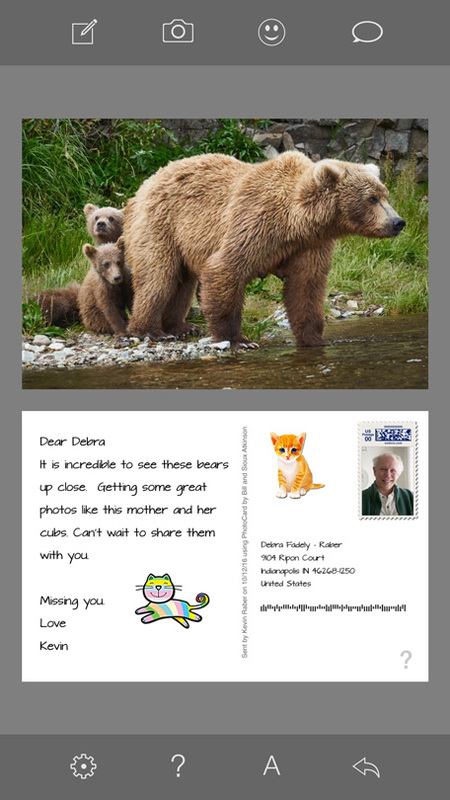 It lets me send postcards to my wife and family when I travel. It’s a very cool program. Bill puts his heart and soul into it and it’s a ton of fun to use. I also have 400 plus videos on my phone. These include time-lapse, slow motion and just fun stuff of events. Hard to believe I can do 4K stabilized video with the iPhone. All of the photos and videos are backed up to the cloud and available on any of my devices. I like to photograph a lot on the iPhone but edit on the iPad. The iCloud sync makes this easy. We all use our phones differently. There are apps for news, weather, finance and hundreds of other things. If you can think of a need, there is probably an app for it. Steve Jobs and Apple certainly did change the world with the iPhone. It’s funny how quickly other companies copied what was done. In the end, though there is only one iPhone. I feel we are very fortunate to be where we are today. We watched some things happen in our lifetimes that have changed the world. The iPhone in ten short years has changed a lot of things. How many people have wired wall phones in their homes anymore? Think of the speed we communicate today. If there is breaking news, we are notified on our phones right away. If there is an event, it is usually filmed on an iPhone and shared instantly all around the world. Think about it. We have a President who is a Twitter nut(case). He can communicate (tweet) to the world (like it or not) instantly from his iPhone. I know, many of us wish someone would take his iPhone away from him, but never the less we do get real news from his Twitter. (I say that with a grin on my face). I kind of miss the old days of writing letters and going to a mailbox for a letter in return. I miss wall phones with 2o foot cords that eventually got stretched to 25 feet and got all tangled up. Things were a bit slower ten years ago for sure. Now I love my iPhone and everything I can do with it. It does so many things in my life. It has become an extension of how I think, communicate and share my art. Now my challenge is how to sometimes put it down and ignore it and remember that life is a lot more than what you can do on an iPhone. So far I haven’t been very successful at that. Happy Birthday, iPhone. Wonder what you’ll be like on your 20th birthday? 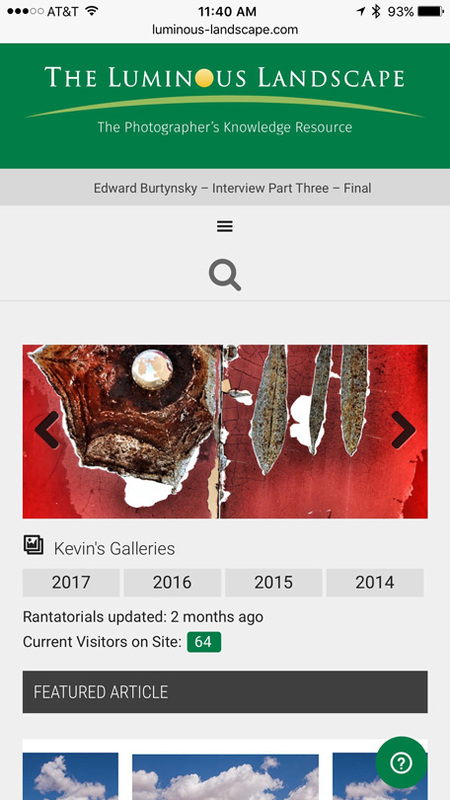 Don’t forget you can read Luminous-landscape.com on your iPhone anytime.